January 19, 2018 (Rockford, IL) - Blackhawk Bank is thrilled to welcome Rob Grindle, Mortgage Planner (NMLS #462766) and Warren Swanberg, Mortgage Planner (NMLS #1502042) to the Blackhawk Mortgage Team and Bank family. Both Rob and Warren’s valuable experience, above-and-beyond work ethic, and Core Values align perfectly with those at Blackhawk Bank. Grindle was born and raised in Rockford, earning his Associate’s degree in General Business from Rock Valley College and later graduating with honors from Arizona State University with his Bachelor’s degree. He began a career in banking at First National Bank Rockford (now Chase); Rob comes to Blackhawk Bank from Alpine Bank, where he had worked since 1999. Rob was recently recognized by the Illinois Housing Development Authority for being #1 in the NW Region for the past two years, assisting 54 mortgage clients with a total of approximately $4,600,000 in home buying assistance. Swanberg has also joined Blackhawk Bank. With over 8 years of banking experience, Warren has most recently worked as a Mortgage Wholesale Representative, overseeing 8 branches and 14 loan officers while providing loan assistance to two of the highest producing Mortgage officers in the Rockford area. Swanberg graduated from Central Methodist University in 2009 with a Bachelor’s degree in Criminal Justice. 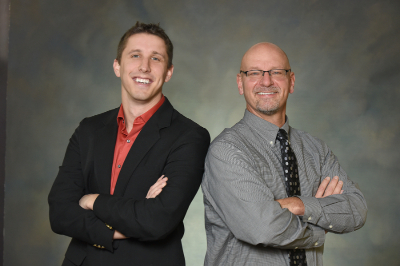 Rob and Warren will be working as a team at Blackhawk Bank; Rob’s office will be located at Gambino Realtors, 3815 N. Mulford Road in Rockford. Reach him by calling 815-229-3223 or email rgrindle@blackhawkbank.com. Warren will be located at the Blackhawk Bank Perryville office in Rockford. He can be reached at 815-979-7180 or email wswanberg@blackhawkbank.com. Illinois. Complete information about Blackhawk Bank can be found at www.blackhawkbank.com.